Meleager, Protesilas i Laodamia, Klatwa. (Dziela Zebrane, tom 2). Cracow (Krakow), Poland. : Wydawnictwo Literackie.. Very Good in Good dust jacket. 1958. Hardcover. 8vo - 19.5 x 12 cm. ; 315 pp. 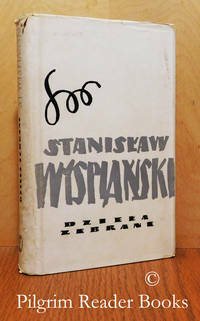 The text is in Polish. Light gray/beige cloth over boards with dark gray lettering on the spine and the front board and with a leaf and flower emblem in green centered on the front board. Illustrated with several black and white and colour plates. The spine is a tad faded. The bottom fore corner of the back board is stained with red ink as are the same corners of 3 pages at the back. The book has mild wear to the spine tips and is otherwise clean with a tight binding. 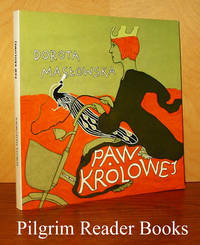 The dust jacket has mild wear to the edges, a chip on the spine tail and a red ink stain on the bottom fore corner of the back panel. .
Daniel, Krolowa Polskiej Korony, Legenda I, Warszawianka. (Dziela Zebrane, tom 1). Cracow (Krakow), Poland. : Wydawnictwo Literackie.. Very Good in Good dust jacket. 1964. Hardcover. 8vo - 19.5 x 12 cm. ; cxvi - 415 pp. 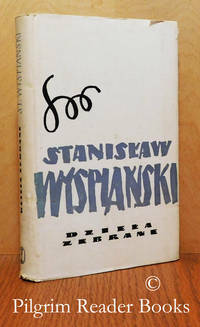 The text is in Polish. Light gray/beige cloth over boards with dark gray lettering on the spine and the front board and with a leaf and flower emblem in green centered on the front board. Illustrated with several black and white plates and one colour plate. The spine is a tad faded as are the margins of the front board. Otherwise clean with a sound binding. 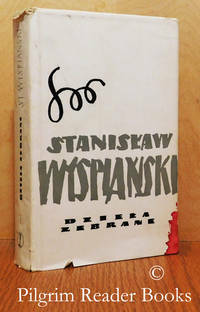 The dust jacket has moderate wear to the edges and a red ink stain on the lower front fore corner. .
Cyd, Powrot Odysa, Sedziowie. (Dziela Zebrane, tom 9). Cracow (Krakow), Poland. : Wydawnictwo Literackie.. Very Good in Good dust jacket. 1960. Hardcover. 8vo - 19.5 x 12 cm. ; 353 pp. 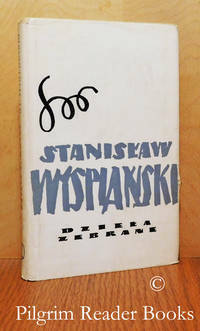 The text is in Polish. Light gray/beige cloth over boards with dark gray lettering on the spine and the front board and with a leaf and flower emblem in green centered on the front board. Illustrated with black and white plates. The spine is a tad faded. The book has mild wear to the spine tips and is otherwise clean with a tight binding. The dust jacket has mild wear to the edges, and is a tad darkened. Otherwise clean with a sound binding. .
Rapsody, Hymn Veni Creator, Wiersze, Uzupelnienie. (Dziela Zebrane, tom 11). Cracow (Krakow), Poland. : Wydawnictwo Literackie.. Very Good in Good dust jacket. 1961. Hardcover. 8vo - 19.5 x 12 cm. ; 307 pp. The text is in Polish. Light gray/beige cloth over boards with dark gray lettering on the spine and the front board and with a leaf and flower emblem in green centered on the front board. Illustrated with both black and white and colour plates. The spine is a tad faded. The book has mild wear to the spine tips and is otherwise clean with a tight binding. The dust jacket has mild wear to the edges, and is a tad darkened. Otherwise clean with a sound binding. .
Wyzwolenie. (Dziela Zebrane, tom 5). Cracow (Krakow), Poland. : Wydawnictwo Literackie.. Very Good in Good dust jacket. 1959. Hardcover. 8vo - 19.5 x 12 cm. ; 255 pp. 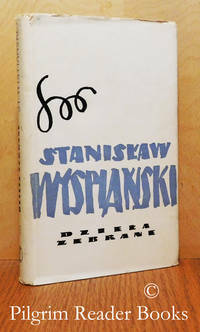 The text is in Polish. Light gray/beige cloth over boards with dark gray lettering on the spine and the front board and with a leaf and flower emblem in green centered on the front board. Illustrated with black and white plates and a cloured frontis piece. The spine is a tad faded. The book has mild wear to the spine tips and is otherwise clean with a tight binding. The dust jacket has mild wear to the edges and the spine is a tad darkened. Otherwise clean with a sound binding. .
Noc Listopadowa. (Dziela Zebrane, tom 8). Cracow (Krakow), Poland. : Wydawnictwo Literackie.. Very Good in Good dust jacket. 1959. Hardcover. 8vo - 19.5 x 12 cm. ; 315 pp. The text is in Polish. Light gray/beige cloth over boards with dark gray lettering on the spine and the front board and with a leaf and flower emblem in green centered on the front board. Illustrated with black and white plates. The spine is a tad faded. The book has mild wear to the spine tips and is otherwise clean with a tight binding. 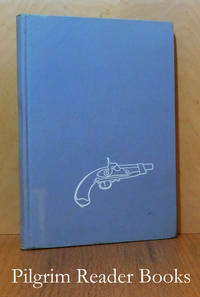 The dust jacket has mild wear to the edges, a closed tear in the head of the front panel at the spine and is a tad darkened. Otherwise clean with a sound binding. .
Boleslaw Smialy, Legenda II, Skalka. (Dziela Zebrane, tom 6). Cracow (Krakow), Poland. : Wydawnictwo Literackie.. Very Good in Fair dust jacket. 1962. Hardcover. 8vo - 19.5 x 12 cm. ; 467 pp. 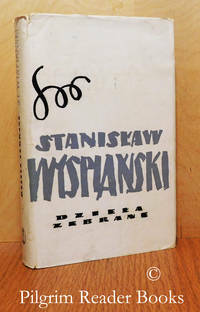 The text is in Polish. Light gray/beige cloth over boards with dark gray lettering on the spine and the front board and with a leaf and flower emblem in green centered on the front board. Illustrated with both black and white plates and coloured plates. The spine is a tad faded. The book has mild wear to the spine tips and is otherwise clean with a tight binding. The dust jacket has mild wear to the edges, however the spine is chipped at the head and has a tear that runs half the length and the spine is a tad darkened. Otherwise clean with a sound binding. .
Pisma Proza, Juvenilia. (Dziela Zebrane, tom 14). Cracow (Krakow), Poland. : Wydawnictwo Literackie.. Very Good in Good dust jacket. 1966. Hardcover. 8vo - 19.5 x 12 cm. ; 303 pp. 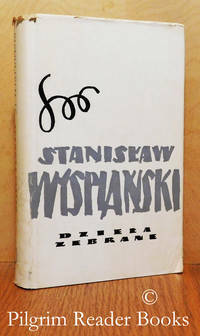 The text is in Polish. Light gray/beige cloth over boards with dark gray lettering on the spine and the front board and with a leaf and flower emblem in green centered on the front board. Illustrated with black and white plates, 2 of which are fold-outs. The spine is a tad faded. The book has mild wear to the spine tips and is otherwise clean with a tight binding. The dust jacket has mild wear to the edges, and is a tad darkened. Otherwise clean with a sound binding. .
Fragmenty Dramatyczne Zygmunt, August. (Dziela Zebrane, tom 10). Cracow (Krakow), Poland. : Wydawnictwo Literackie.. Very Good in Good dust jacket. 1960. Hardcover. 8vo - 19.5 x 12 cm. ; 414 pp. The text is in Polish. Light gray/beige cloth over boards with dark gray lettering on the spine and the front board and with a leaf and flower emblem in green centered on the front board. The "Fragmenty" are "Juliusz II", "Piastowicze", "Weimar 1829", "Rudera", "Feakowie", "Ajas", "Maz", "Smierc Ofelii", "Krol Kazimierz Jagiellonczyk", "Jadwiga", "Samuel Zborowski", and "Voltaire'a Zaira". Illustrated with black and white plates. The spine is a tad faded. The book has mild wear to the spine tips and is otherwise clean with a tight binding. The dust jacket has mild wear to the edges, and is a tad darkened. Otherwise clean with a sound binding. .
Lelewel, Legion. (Dziela Zebrane, tom 3). Cracow (Krakow), Poland. : Wydawnictwo Literackie.. Very Good in Very Good dust jacket. 1958. Hardcover. 8vo - 19.5 x 12 cm. ; 255 pp. The text is in Polish. Light gray/beige cloth over boards with dark gray lettering on the spine and the front board and with a leaf and flower emblem in green centered on the front board. Illustrated with black and white plates and 1 colour frontis piece. The spine is a tad faded. The book has mild wear to the spine tips and is otherwise clean with a tight binding. The dust jacket has mild wear to the edges and the spine is a tad darkened. Otherwise clean with a sound binding. .
Inscenizacje. (Dziela Zebrane, tom 12). Cracow (Krakow), Poland. : Wydawnictwo Literackie.. Very Good in Good dust jacket. 1961. Hardcover. 8vo - 19.5 x 12 cm. ; 303 pp. The text is in Polish. Light gray/beige cloth over boards with dark gray lettering on the spine and the front board and with a leaf and flower emblem in green centered on the front board. 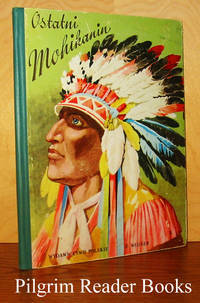 Illustrated with both black and white and colour plates. The spine is a tad faded. The book has mild wear to the spine tips and is otherwise clean with a tight binding. The dust jacket has mild wear to the edges, and is a tad darkened. Otherwise clean with a sound binding. .
Akropolis, Achilleis. (Dziela Zebrane, tom 7). Cracow (Krakow), Poland. : Wydawnictwo Literackie.. Very Good in Good dust jacket. 1959. Hardcover. 8vo - 19.5 x 12 cm. ; 427 pp. The text is in Polish. Light gray/beige cloth over boards with dark gray lettering on the spine and the front board and with a leaf and flower emblem in green centered on the front board. Illustrated with both black and white plates and coloured plates. Errata slip tipped in on page 427. The spine is a tad faded. The book has mild wear to the spine tips and is otherwise clean with a tight binding. The dust jacket has mild wear to the edges and is a tad darkened. Otherwise clean with a sound binding. .
Hamlet. (Dziela Zebrane, tom 13). Cracow (Krakow), Poland. : Wydawnictwo Literackie.. Very Good in Good dust jacket. 1961. Hardcover. 8vo - 19.5 x 12 cm. ; 255 pp. The text is in Polish. Light gray/beige cloth over boards with dark gray lettering on the spine and the front board and with a leaf and flower emblem in green centered on the front board. Illustrated with black and white plates. The spine is a tad faded. The book has mild wear to the spine tips and is otherwise clean with a tight binding. The dust jacket has mild wear to the edges, and is a tad darkened. Otherwise clean with a sound binding. .
Wesele. (Dziela Zebrane, tom 4). Cracow (Krakow), Poland. : Wydawnictwo Literackie.. Very Good in Good dust jacket. 1958. Hardcover. 8vo - 19.5 x 12 cm. ; 305 pp. The text is in Polish. Light gray/beige cloth over boards with dark gray lettering on the spine and the front board and with a leaf and flower emblem in green centered on the front board. Illustrated with black and white plates, one of which is the frontis piece. The spine is a tad faded. The book has mild wear to the spine tips and is otherwise clean with a tight binding. The dust jacket has a chip in the head of the spine, mild wear to the edges and the spine is a tad darkened. 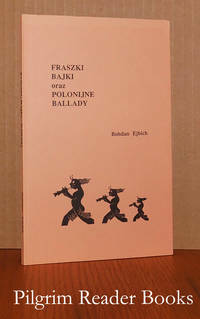 Otherwise clean with a sound binding. .
Szuanska Ballada. (O "slepym wojowniku" Gedeonie i o jego pojedynku z "Korsykanskim kartem" Bonaparte). Krakow, Poland. : Krajowa Agencja Wydawnicza (KAW).. Very Good with no dust jacket. 1991. Hardcover. 830303149X . 8vo - 20.5 x 14.5 cm. ; 137 - (19) pp. 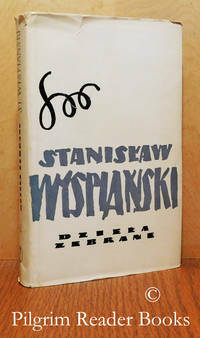 The text is in Polish. Patterned blue-gray cloth over boards with the drawing of a duelling pistol in white on the front board. Sixteen pages of black and white plates (reproductions) at the end of the book. The library markings are a library sticker (one of those scannable chip embedded thingees) on the front paste down end paper, a withdrawn "D" stamped stamped on the front free end paper and a label ghost on the lower spine. Minor shelf wear to the externals, otherwise the interior is clean with a sound binding. .
Toronto, Ontario. : Privately published.. Near Fine. 1990. Softcover. 8vo - 21 x 13.5 cm. ; 112 pp. The text is in Polish. Ejbich (1916-2013) was a pilot in the RAF 304 (Polish) Squadron in World War II and has authored several collections of self-published memoirs. This appears to be a collection of his poetry. Illustrated with several small black and white drawings. 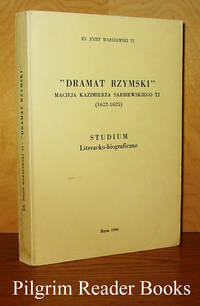 An as-new and unread copy with a trace of shelf wear to the covers. .
By Galczynski, Konstanty Ildefons. (edited by Barbara Kowalska). Warsaw, Poland. : Czytelnik / Wydawnictwo Polskiego Towarzystwa Wydawcow Ksiazek.. Fine. 1997. Hardcover. 12mo - 19 x 12.5 cm. ; 415 - (1) pp. The text is in Polish. 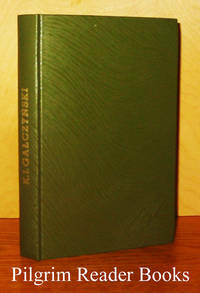 Green cloth over boards with the author's name in gilt on the spine. Black and white frontis photograph of Prof. Baczynski. 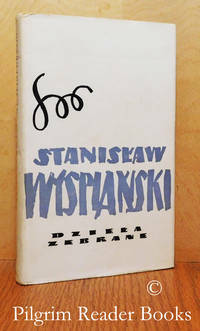 The last page of text states that this edition of 1997 (Czytelnik) is based on the work of the author as published by Wydawnictwo Polskiego Towarzystwa Wydawcom Ksiazek as published in 1987. .
Paw Królowej. (The Peacock Queen). Warsaw, Poland. : Biblioteka Twoich Mysli.. Near Fine. 2005. Softcover. 8389603209 . 8vo - 19.5 x 19.5 cm. ; 155 pp. 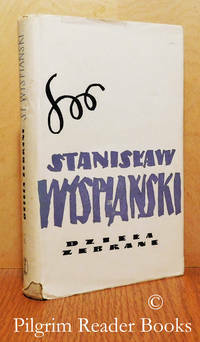 The text is in Polish. Illustrated with black and white line drawings by Maciej Sienczyk. The margins of the text pages are very lightly tanned or browned, else fine. .
By Cooper'a, Fenimore. (James Fenimore Cooper). 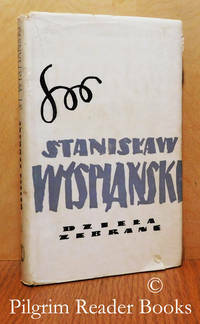 Wydawnictwo Polskie, R. Wegner.. Good+ with no dust jacket. (1948). Hardcover. 8vo - 22 x 16.5 cm. ; Unpaginated with 34 pages. No date given but known to be circa 1948. A children's version of Cooper's Last of the Mohicans in Polish. Several black and white illustrations, two full-page and full-colour illustrations. Pictorial paper-covered boards with cloth spine, no dust jacket as issued. Some edgewear to the covers, light soiling on cover, sparse bit of soiling in text. .
Rzym: Pontificiae Universitatis Gregorianae.. Very Good. 1984. Softcover. 8vo - 21 x 15 cm. ; 376 pp. Approbations present. Text is in Polish. Studium Literacko-biograficzne. Sarbiewski (1595-1640) was a Jesuit Polish Latin poet famous throughout Europe and Poland's most popular poet before Sienkiewicz. This text is a literary-biographical study of Casimir Sarbiewski's stay in Rome; he became known as "the Horace of the Christian World". Illustrations, footnotes, bibliography, fold-out map, four page summary in English. 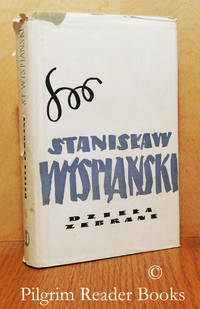 Warszawski inscribed this copy on a preliminary blank page. Minor wear on card stock cover, water stain on spine but no sign of water damage in text, some dog-earred pages; binding sturdy, text pages clean. ; Signed by Author .